SPONSORED CONTENT: Fully electric and hybrid buses are arguably leading the ‘charge’ in cleaner and greener human mass transit. Here, we take a brief look at some interesting products and players in the electro-mobility game. Arguably, reduced or eliminated carbon emissions is the name of the game now and batteries and motors are key. There are some rapid advances in battery and motor technology these days, which means there’s some very interesting bus electro-mobility product out on the market, or at least on the way to getting there. In this region at least it may not be the entire end of the humble diesel bus for a while, given the relative emissions cleanliness of the latest Euro 5 and 6 engines and additives that factor into when and where such buses are used, but the blinding reality is that reduced or eliminated carbon emissions is the name of the game now and batteries and motors are key. 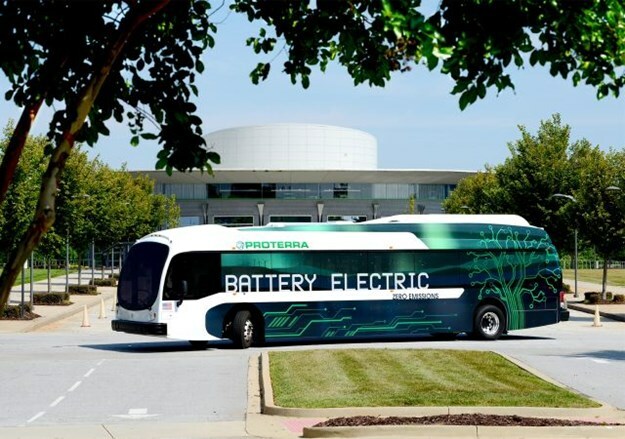 Power output and longevity of batteries, their size and weight and location on a bus, what happens throughout their post-bus lifecycle and how far and for how long they can help move a bus is seeing billions of collective dollars from some of the world’s top manufacturers invested into such experimentation and results advancement. Have no doubt virtually every vehicle manufacturer of sorts is on the bus electro-mobility case and has linked up, or is linking up, with key lithium (at this stage, anyway) battery manufacturers for future cooperation and gain. And once mass charging station infrastructure is rolled out, the virtually silent ‘whizzing by’ of buses on our streets will be music to many public transit commuters’ ears. Here’s a very, very brief look at who’s who in all things electrified. For a number of years now, Volvo in Europe has been synonymous with being a leader in electro-mobility. Volvo’s electro-mobility journey started with hybrid buses in 2008, electric hybrids (plug-in hybrids) in 2013, and finally full electric buses in 2015. 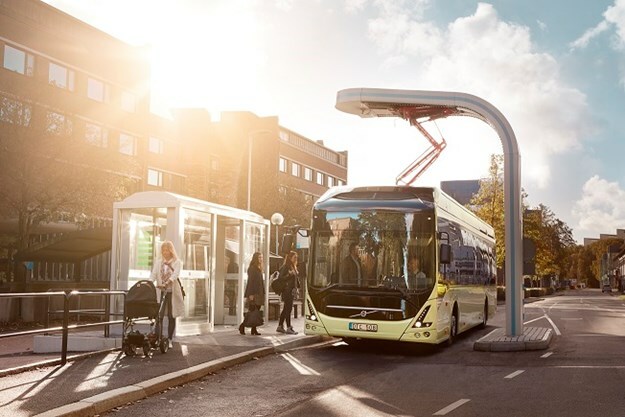 To date, Volvo has sold more than 4,000 electrified buses globally, delivering customised solutions to cities, transport authorities and operators. Volvo’s vision and direction is very clear that electrification will play a major role in land and public transport in the future, and has invested heavily in the technology across the Group, including electric buses, trucks, construction and mining equipment. General manager of Volvo Bus Australia, Lauren Downs, explains that Volvo’s electric bus experts realised very early on in their development that successfully operating full electric buses in Australia brings its own unique set of challenges compared to other parts of the world, such as power supply, distances and climate. "We have been very busy working on testing and adapting our existing and proven electric products already operating across Europe to ensure their performance, uptime, reliability and durability will meet the demands and conditions of Australian operations," she says. we offer needs to deliver the same uptime, reliability durability and passenger capacity as the standard diesel bus it is replacing. "We have therefore not been the first to market with electric buses in Australia, but are getting extremely close now with a product we fully back and believe in for Australian operations." Volvo recently announced the sale of 30 electric buses to GS Buss in Sweden, 23 to Leiden in the Netherlands and another 17 to Oslo. Volvo has now sold electric buses in Britain, Denmark, Luxemburg, the Netherlands, Norway, Poland, Singapore and Sweden. "Volvo has learnt many lessons abroad successfully implementing electrified bus routes that we can now draw on and share with Australia cities, operators and other key stakeholders to ensure electric success," says Downs. "In saying that, however, not all routes lend themselves to the benefits of electrification to the same degree and we believe we will see a combination of diesel, hybrid and full electric products well into the future." Locally, highlights recently included the largest hybrid bus order in Australia to date placed by CDC Victoria, with first deliveries of the Volvo B5LH hybrid chassis last August, plus the first of eight hybrids in full service for Victoria’s Latrobe Valley at that time as well. Till Oberwörder, head of Daimler Buses, said that the eCitaro "is redefining conventionally driven bus transportation and is for us the symbol for future-oriented local public transport," when speaking at the launch of the latest eCitaros via Rhein-Neckar-Verkehr GmbH (rnv) – a municipal transport company that was founded by the cities of Heidelberg, Ludwigshafen and Mannheim, Germany. "A holistic approach is very important to us," he continued. "That is why we have put together a comprehensive package comprising the vehicle, charging management and consultation with which we are supporting the transport company in its endeavour to electrify its buses." Accordingly, lithium-ion batteries with a total capacity of 243kWh will provide the electric power. The battery design is modular, comprising 10 modules each with an output of 25kWh. 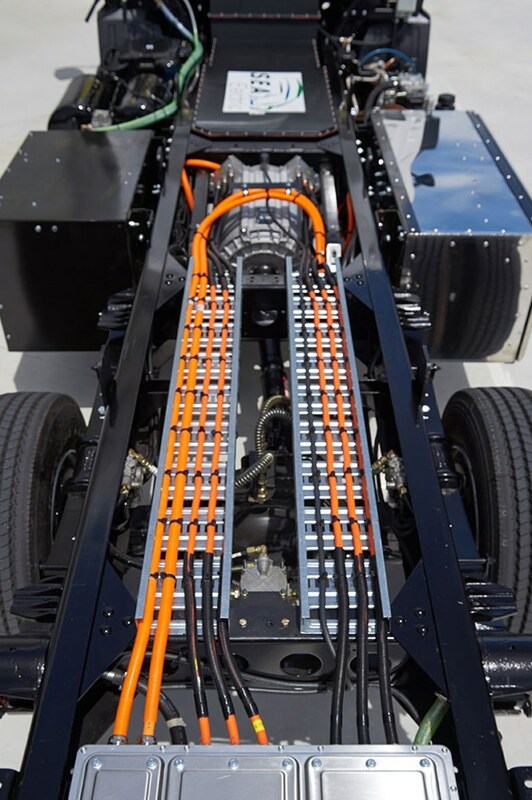 In addition to the six battery modules on the vehicle’s roof, four battery modules in the rear take the position of today’s drive system combination of combustion engine and transmission. With its charging technology the eCitaro adapts to the conditions provided by rnv. 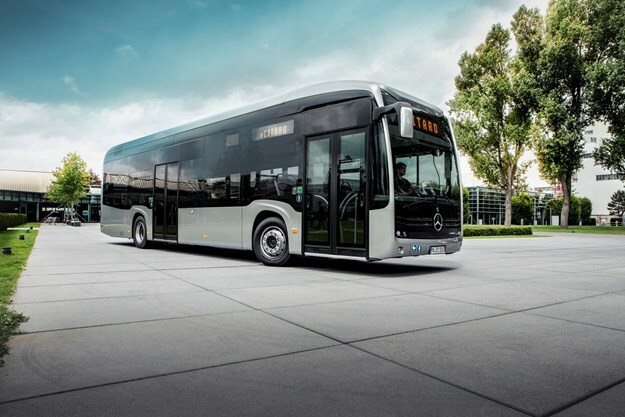 The target is a mileage of 200km or more for each vehicle, which can be achieved with top-up charging during breaks in operation, Daimler explains. NSW South Coast operator Premier Transport Group is the first in Australia to trial Yutong’s new electric bus for six months, as part of a NSW commitment to a minimum 10 per cent of new government fleet vehicles being electric or hybrid from 2020/21. Ensuring the ongoing transition towards cleaner, quieter transport, Minister for Transport and Infrastructure Andrew Constance and Minister for Roads, Maritime and Freight Melinda Pavey today announced the NSW Government’s Electric and Hybrid Vehicle Plan, in January 2019. Minister Pavey said the NSW Government will also increase the availability of electric vehicle charging points for drivers. The Connected and Automated Vehicles Plan supports NSW’s Future Transport 2056 long-term strategy. Premier Transport Group’s Greg Abel explained exclusively to ABC magazine that: "The intent of the electric bus trial is to obtain data in regards to all aspects of operations pertaining to Australian conditions to enable the relevant parties to evaluate and assess numerous issues from cost to future needs and direction." Scania has been quite vocal and enlightening about the many ways and combinations of bus propulsion to reduce emissions, yet its very recent electric bus project in Sweden makes for insightful reading. It says the grayling, the trout and the osprey are back in Billsta stream, where three small-scale power plants produce local renewable energy for Östersund’s electric buses. This small city in the middle of Sweden, located some 560km north of the capital Stockholm, is developing a sustainable transport system for the future that is partner-driven and combines ecological, economic and social sustainability. For the locals, the reborn wildlife in Billsta stream is the icing on the cake. First and foremost, they are proud of being at the forefront of developing sustainable transport systems for the future, it says. The electrical bus project in Östersund shows that you can combine public transport with modern environmental requirements, efficient renewable hydropower and high natural values. In the longer-term, Scania also advocates the benefits of fuel cell electric vehicles, stating that as fuel cell vehicles will be more expensive, substantial growth is expected to be later than for battery electric vehicles. By 2050, they could constitute 60 per cent of the total heavy vehicle fleet with the remainder battery electric vehicles. The supply of hydrogen is plentiful and available at low cost. Fuel cell vehicles are also better suited for long haulage transport, say Scania, due to smaller battery size and longer operational range than battery electric vehicles. 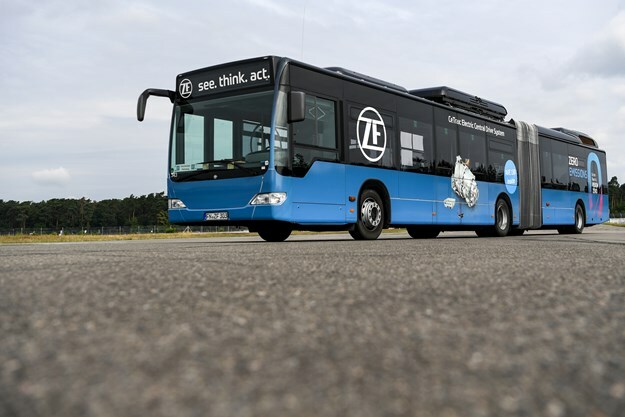 A new prototype articulated bus "impressively demonstrates" system solutions to simplify the transition to electric-powered city buses, according to commercial vehicle driveline and chassis technology specialist ZF. The 18-metre ‘artic’ bus is equipped with two AVE 130 electric portal axles, with a total of four motors providing powerful thrust. 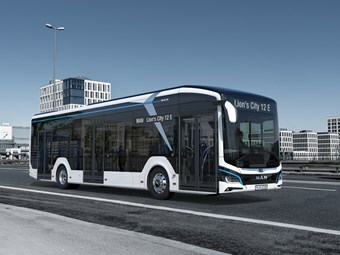 The company offers its AVE 130 electric portal axle and the new CeTrax electric central drive for city buses, acting as a one-stop shop for all the components required, says ZF. This means manufacturers can choose conventional low-floor and high-floor platforms, as well as low-entry buses for electrically powered models, which makes the electrification of vehicle fleets more economical and convenient, it adds. Offered in a more complete package, it includes advanced inverters, drive control and full power electronics all fully integrated. This guarantees optimal energy efficiency – and a larger range, ZF claims. For sufficient power, a standard articulated bus only needs one driven AVE 130 electric portal axle. In principle, the installation space required for the AVE 130 is about the same as that of a conventional portal axle. For manufacturers, this means major cost savings because they do not have to develop their own chassis platforms for electric mobility solutions, the company says. The AVE 130 can be combined with most conventional power sources, including batteries, supercaps, fuel cells or even overhead lines. It is also suitable for serial hybrid and plug-in versions. This gives OEMs and public transport operators flexibility when selecting the power supply, it states. As a system solution for low-floor and high-floor buses, CeTrax is built on a plug-and-drive approach, so it can be integrated into existing vehicle platforms. CeTrax is configured with a maximum output of up to 300kW and a maximum torque of 4,400Nm. The TraXon Hybrid, equipped with an electric motor positioned between the combustion engine and the transmission, allows hybrid functions in heavy commercial vehicles. Minibus electric propulsion made more inroads into the Australian mainstream recently following the announcement of a Victorian Government grant towards automotive technology company SEA Electric building a manufacturing plant in Victoria’s Latrobe Valley. The grant comes from a $266 million Latrobe Valley support package established for a region facing job losses after the decommissioning of Hazelwood’s brown coal-fuelled power station, and the general decline of the Australian automotive manufacturing industry. Managing director Tony Fairweather says the announcement marks, "an opportunity for a range of reasons, so it sits really well with us and the government". SEA Electric products include the SEA-Drive drivetrain, which can be fitted into ‘gliders’ – cab chassis stripped of their original motors and components. SEA-Drive suits commercial vans, commuter buses and smaller trucks, says the company. The technology for prime movers and urban buses is still developing and doesn’t yet have the range (around 250km per charge) to cover Australia’s vast terrains without sophisticated rapid charging networks. While SEA Electric products contain a 22kW integrated charger that can power up from any three-phase source, and are typically designed for applications that allow for charging overnight at depots, the development of rapid-charging facilities around the country is also underway. 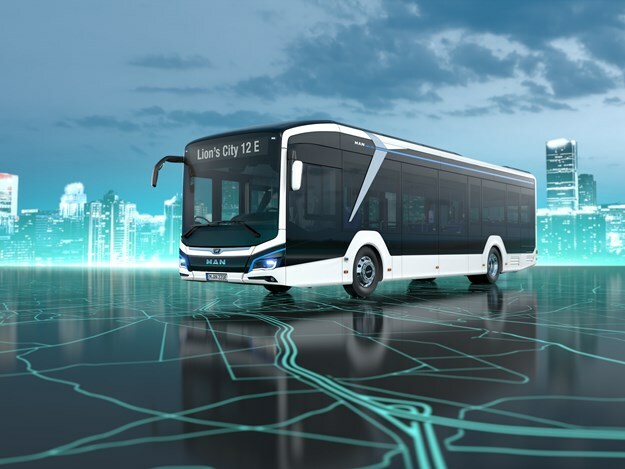 Where most electric bus batteries range from 240kWh to 350kWh, MAN Truck and Bus’s IAA 2018-debuted Lion’s City electric will pack a whopping 480kWh, with 640kWh for the articulated version. That is, MAN’s fully electric Lion’s City E will have the biggest (most powerful) battery on market, it’s stated. According to the company, the vehicles will have a central electric motor and depot charging capability – the latter for good reason. MAN conducted a survey that indicated a preference by operators for depot charging. Yes, nearly 200 customers throughout Europe and several cities helped MAN conclude that, "for the sake of routine operations later in the day, flexible and uninterrupted service [without opportunity charging] is more important than an unlimited range. Especially since battery technology is developing at a rapid pace". Thus, here on the Lion’s City E the batteries are plugged into a CCS and charged at the depot, which can fully charge buses in less than three hours, articulated buses can be done in less than four hours, averaging 100kW charging power. This timeframe reduces when a maximum charging power of 150kW is supplied. The fully electric driveline produces 160 to 270kW (non-artic), via modular batteries with massive 480kWh capacity (640kWh articulated). These batteries’ sophisticated temperature management guarantees especially strong availability, regardless of the time of year, it’s claimed. This way, the Lion’s City eBus can reliably ensure their 200km range in realistic conditions and over their batteries’ full life cycles. The Lion’s City E can have its batteries upgraded in time, and charging outside of peak hours will also enable operators to tap into smart charge management and benefit from lower electricity rates, further adding to the electric buses’ cost effectiveness. Existing trolleybus-using cities around the world can also embrace cleaner public transport via vehicles like Iveco Bus’s Crealis, which has earned its first order following its Sustainable Bus of the Year 2019 category win, at the 2018 IAA in Germany, last year. Limoges Métropole in Limoges, France, has been using trolleybuses for more than 50 years and, by investing in a new generation of electric vehicles, endorses its commitment to energy transition, it states. Unveiled on the opening day of the IAA Commercial Vehicles Show, in Hannover, this September, this new vehicle represents another significant advance in the field of electric mobility, according to Iveco Bus. By choosing the Crealis ‘In-Motion-Charging’ - as is its name in full - the municipality demonstrates its desire to become a city where travel for its 208,000 residents will become increasingly less polluting and quieter, it claims. Thanks to the success of locally manufactured, electrically powered vehicles in the city, Limoges is pushing ahead with the modernisation of its existing network. These new vehicles – supplementing its fleet of nearly 30 trolleybuses already in service – will be used on the busiest routes, says Iveco Bus. This order is a perfect fit for the city’s development plan to build a more sustainable transit system, and positons Iveco Bus as a key electromobility partner, the French-based Italian company states. "As loyal trolleybus users for many decades, we are delighted to be the first in France to order this new generation of vehicles. 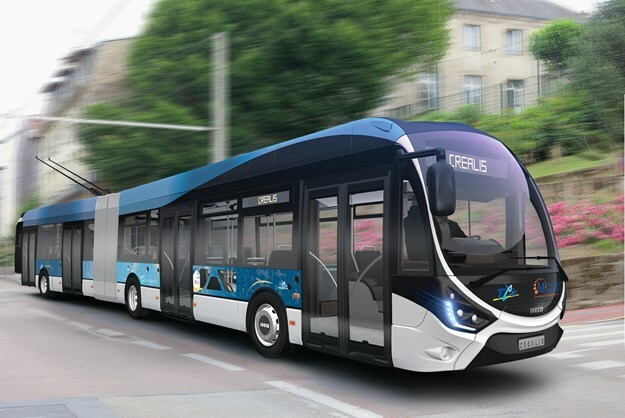 Crealis In-Motion-Charging confirms that electricity is the way forward for energy transition in public transport," said M. Gérard Vandenbroucke, president of Limoges Métropole. Three of the USA’s East Coast’s major airports will collectively have 18 new Proterra Catalyst E2 electric buses in service, as the Port Authority of New York and New Jersey targets its goal of a fully electric airport shuttle fleet. American bus maker Proterra - a leading innovator in heavy-duty electric transportation - announced recently that the Port Authority of New York and New Jersey has agreed to procure 18 Proterra Catalyst® E2 vehicles for shuttle service at John F. Kennedy International Airport (JFK), Newark Liberty International Airport (EWR) and LaGuardia Airport (LGA), representing one of the largest electric bus fleet commitments of any airport authority in the United States, it states. Six of the battery-electric buses are already in service at JFK, with LGA and EWR to each deploy six more in 2019, it’s claimed. "The Port Authority continues to look for innovative and eco-friendly ways to support the growth of its airports," said Port Authority executive director Rick Cotton. "By providing a more sustainable airport and delivering an enhanced passenger experience, we are continuing our commitment to reduce the agency’s carbon footprint." Offering alternative to – and potentially crushing the aspirations of – various electric vehicle charging infrastructure proponents worldwide, an innovative new Russian-built e-bus can tow its battery storage with it; the idea potentially saving cities globally millions in charging-station set-up costs. In what could arguably be stamping an expiry date on newly emerging static terrestrial-based EV charging network concepts already, the electric Pioneer 2 low-floor city bus by young (est. 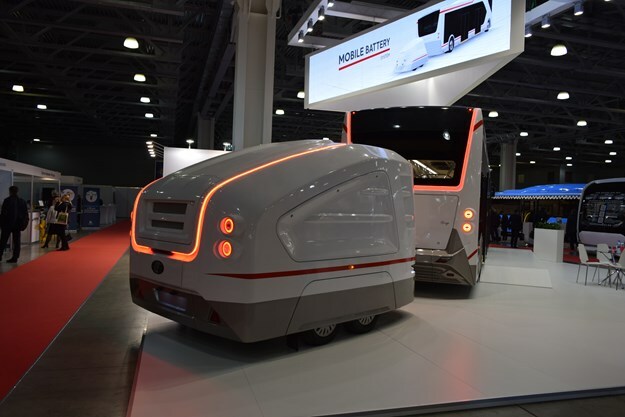 2013) Russian tram-specialist manufacturer PC Transport Systems stood out at the recent Busworld Russia 2018 event for that very reason. Seen for the first time in Russia – if not the world – the unique electric bus employs a clever Mobile Battery Storage (MBS) system that makes it possible to increase its driving distance while maintaining maximum passenger capacity, the company states. As is evident, the idiosyncratic feature of this electric bus is the main battery pack located in the trailer, complemented by an extra one on the roof, which – as the model’s designers claim – is good for a total power reserve from fully charged batteries of about 200km.